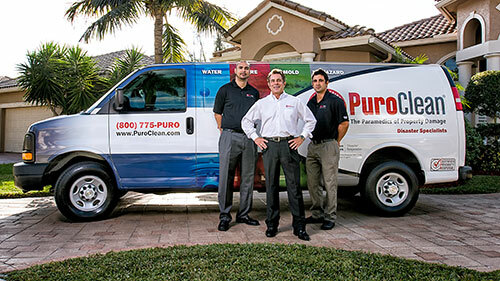 As the leader in fire and water damage restoration, PuroClean has become one of the fastest growing franchises in North America. Since 1990, we've been able to touch the lives of those in our communities by providing 24-hour emergency restoration services. Our 'rescue' work ethic has earned PuroClean the reputation of being known as "The Paramedics of Property Damage™". PuroClean offers fire and water damage restoration, mold and mildew removal, as well as biohazard cleanup services to families and businesses in their greatest time of need. PuroClean offers one of the most comprehensive franchise training programs available. The PuroClean Academy is designed to give you the knowledge and tools needed to be successful. Our new training center is one of the most state-of-the-science facilities delivering the highest level of training in our industry. The PuroClean Academy includes a new, IICRC-approved Applied Structural Drying (ASD) facility, which is the focal point of real-life practical instruction. One of only 17 in worldwide, this is the premier ASD facility in the nation delivering the very highest level of training available anywhere. During training you'll also receive a dedicated Regional Sales Consultant that will help you get your ready with your daily routines, as well as your operational and sales systems, to open you business.